Your child is going to spend lots of their free time playing games, as they should, as you are only young once. Though make sure your child is always learning by having their games at home fill an educational purpose too. The following are some great educational resources for kids. This old school classic of literacy games is a great one for any age, especially those youngsters still developing a grasp on their words. Your kids will love getting to play an adult game with you (and are sure to be learning lots each time) as they discover new words as well as work on their basic counting and number skills. 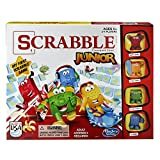 Games like Scrabble do wonders for a person’s vocabulary, as well as their confidence, so make sure you are busting it out once in a while with your child. 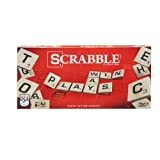 Shop Scrabble Games on Amazon now! This old school classic is still one of the best learning games for children, where they can develop and utilize a whole range of faculties. 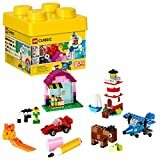 From using basic motor skills to developing their imagination, Legos are one of those games every family home should have. 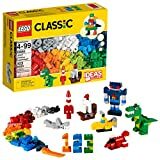 Shop Legos on Amazon now! Arguably the world’s best game, you are never too young to learn how to play chess, and this great game will do wonders for your child’s ability to think ahead and learn how to strategize. Once they get the hang of the rules, chess is the perfect game for trying to work on more than one plan at a time, as well as try and determine what it is that your opponent is doing. The different movements of each piece will also be helping your child keep the creative part of their brain exercised and healthy. 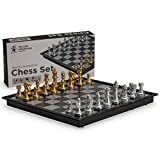 Shop Chess Sets on Amazon now! This classic game is a challenge for most adults, so maybe if you can get your child to work out how to solve it, they can then show you how. Only a game for kids who are looking for a challenge, working on a Rubix cube involves thinking about placement and positioning and is great for teaching about change, patterns and consequences. Rubix cubes are relatively cheap to buy, so there is no harm having one around in case your child decides they want to have a go at it. 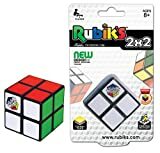 Shop Rubix Cubes on Amazon now! 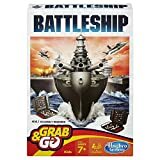 This great game does a great job at teaching creative thinking, as you essentially have to make educated guesses as to where your opponent is and what they are doing in the Battleship game. While developing skills such as using a process of elimination, as well as using partial information to deduce the greater picture, this simple game will be doing wonders for your child’s overall learning and development. 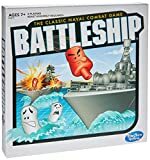 Shop Battleship on Amazon now! It is easy to be helping your child with their learning at home, simply by making sure that the games they are playing are of some educational benefit to them. Having educational games around your home will make it easy for your child to be learning naturally, and the more fun it is, the more likely they will be to get stuck into it and be learning lots quickly.